Debra Lappin leads the Health & Bioscience Team at FaegreBD Consulting, the consulting practice within the global law firm of Faegre Baker Daniels. She also serves as Counsel to Faegre Baker Daniels. Debra is a leading strategist in health and science policy. She consults with academic, government, industry and nonprofit institutions on innovative public-private partnerships, pre-competitive collaborative research and development strategies, and other alliances to advance policy and promote public health. Calling upon her experiences as former national chair of the Arthritis Foundation, she is a recognized national spokesperson on public engagement and patient-centricity in science and medicine. Debra’s practice is grounded on decades of experience as an advisor to the NIH and the CDC, training in law, ethics, and policy, and corporate and nonprofit leadership. She develops platforms for shared value that align stakeholders and drive measurable solutions to serve a client’s mission and business purposes. She has special expertise in advising on the development of new tools to enable translation, such as disease registries, large integrated databases, and bio-specimen repositories and data-sharing arrangements. Debra’s leadership of global consortia includes campaigns on public access to scientific communications and Genetic Information Non-discrimination; the development of a global coalition to advance Alzheimer’s disease research and collaboration; the design of a ground- breaking academic/NIH collaborative to move a repurposed drug forward in the treatment of rare blood cancer; execution of policy strategies to advance maternal immunizations and global vaccine development; and leadership of large public health coalitions to meet emerging public health threats, such as the rise in viral hepatitis and in unsafe injection practices across healthcare delivery settings. She is an experienced communicator. Debra serves or has served as a member of advisory committees to the Directors of the Centers for Disease Control and Prevention and the National Institutes of Health, and has participated on a number of committees at the National Academy of Sciences, including the Committee on the Organizational Structure of the NIH that led to a number of reforms now institutionalized at NIH. 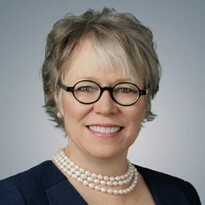 She is President of the Council for American Medical Innovation and a member of the Board of Research!America.